I still acutely remember being the girl that carefully rounded up and kept a tally as she bought groceries, praying that I had enough cash to pay for it all. There was nothing worse than having to remove items from the bags and hand them back to the cashier. Times were tight and it felt like I was always anxiously waiting for the next paycheque. Life would have been far less stressful had I known how to eat healthy on a budget. I don’t have these same worries today but if I could tell my younger self a thing or two I would have saved her from a world of suffering. The fact is, no matter how things are in your life today, it can all change in an instant. The way to be sure that you can always provide the essentials for your family goes back to learning basic essential skills. Let’s dart back in time for a moment. My grandmother had her own victory garden that kept her family well fed during very hard times, something that was common in that era. She shared food with neighbors and ensured that her family never went hungry. Growing food was a source of pride and was encouraged by the government to help reduce hunger and dependence during these very hard times. Lessons and resources were provided to help strengthen and empower people. This was in the mid 40’s England. Fast forward to today. We see something very different. The government is actively increasing dependence on them, and they are doing a very poor job of caring for their citizens. At every turn, we are tempted with even more ways to get further in debt. Food prices are sky-rocketing, cheap imports are hurting local producers and the demand on food banks and soup kitchens have become unmanageable. Today’s reality is actually pretty terrible for a lot of people and not that unlike what was happing in yesteryears however the management of the situation is alarmingly different (and ineffective). It almost seems like the approach is “if we don’t talk about it then people won’t know it’s happening”. But …we know. By the end of 1943, there were more than 200,000 victory gardens in Canada alone producing about 550lb of produce each! I can’t recall where I found this statistic but isn’t this amazing? Today a lot of kids aren’t even given a home economics class, could not boil an egg. Let’s all sharpen our knives and learn some simple life-changing skills. Rather than relying on a system that clearly does not have our best interests at heart, let us look within, rely upon ourselves and build stronger people around us. If you are facing difficult times know that you are not alone in this struggle. Empower ourselves. Empower our families. It was not very many years ago that I did not know just how much I was capable of. I didn’t really understand food. I would stand in front of the fridge with no idea what to cook. 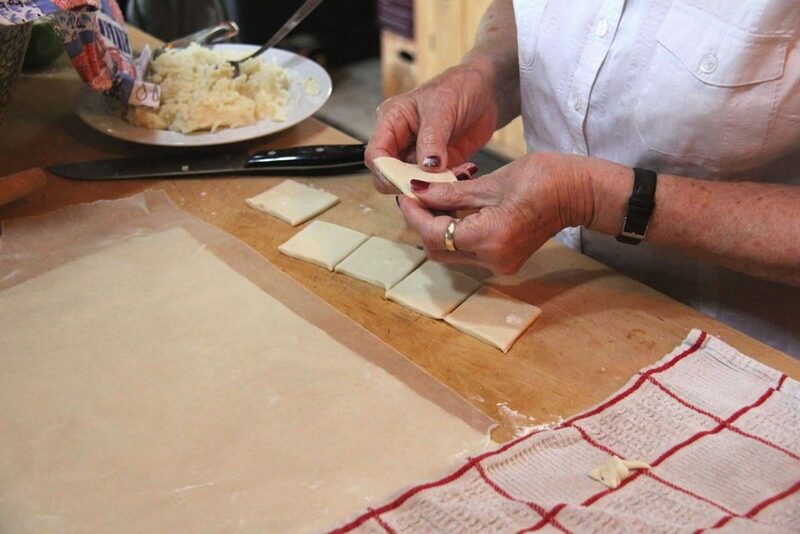 The idea of making things from scratch was foreign. I was a busy working Mom. I figured from scratch cooking would take up way too much time, would be too hard. Too expensive. I was wrong. I was very wrong. The solutions and answers to having a well-fed, healthy family and good food on the table are simple, timeless, basic skills. Skills that you can and should learn. 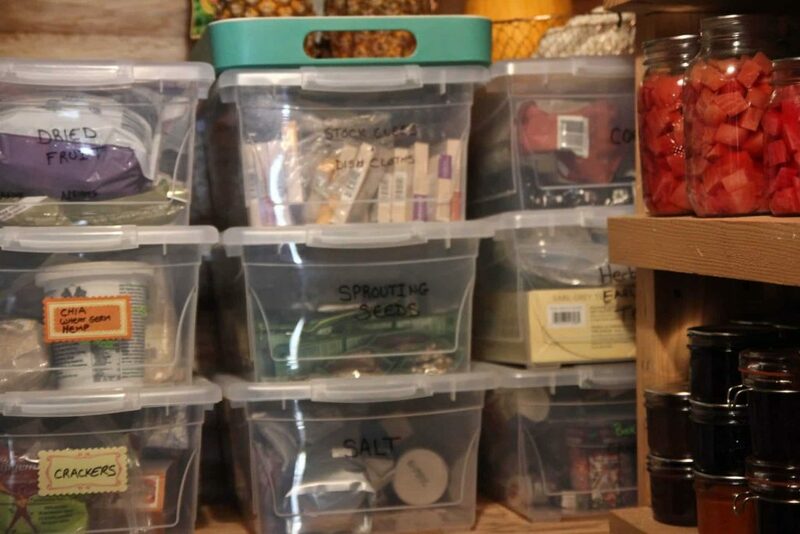 Bit by bit, work on stocking up your pantry. What you want to try to do is to buy items when they are at their best price. When you can afford to, add sale items such as canned milk, flour, whole oats, beans, lentils, rice, tinned tomatoes, fruit & vegetables, peanut butter, frozen vegetables, and other meal builders. A lot of meals can be made from these types of ingredients. 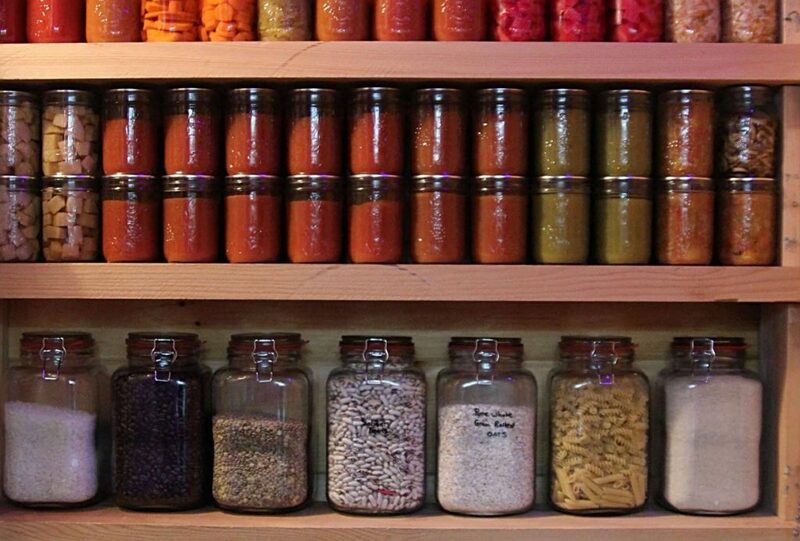 Learn how to Stock a Pantry like a Pro. This can be a bit intimidating but if you want to eat well and get the most food for your family out of every dollar, instead of pre-packaged food that comes in small boxes, pick up some bulk dried beans or lentils or an assortment of other bulk food items. This food goes a lot further towards keeping a family fed. Pick up some seasonal vegetables rather than imported ones. Buy a whole chicken instead of the pre-packaged breasts and wings. It’s really easy to break apart a chicken at home and you can make many meals from a single chicken including a healthy chicken stock from the bones. Take a look at what’s on sale in the frozen vegetable section. Start to really look at the prices of the things in the store and determine what you can get the most of for your hard earned dollars. Those big bags of bananas for fifty cents, grab some and toss them in the freezer for making desserts. Learn how to cook from scratch and if this scares you a little bit, I promise you, once you start doing it you will never look back. I sort of had to be dragged kicking and screaming into it but truthfully I very quickly discovered that I actually loved it. I think I was influenced by the whole feminism movement that was swarming around me as a teen and thought being in the kitchen was giving up my empowerment. You might remember the whole “barefoot & pregnant in the kitchen” stigma? Well, regardless of your gender, cooking good food is very empowering. Start with simple recipes and work your way up. It won’t be long before you are quickly and efficiently preparing meals from large bags of raw ingredients. A bag of flour and a few other really inexpensive ingredients such as eggs, water and yeast, and you can make pizza dough, bread, tortillas, pasta, bagels, bannock, scones, and so many other great tasting things. 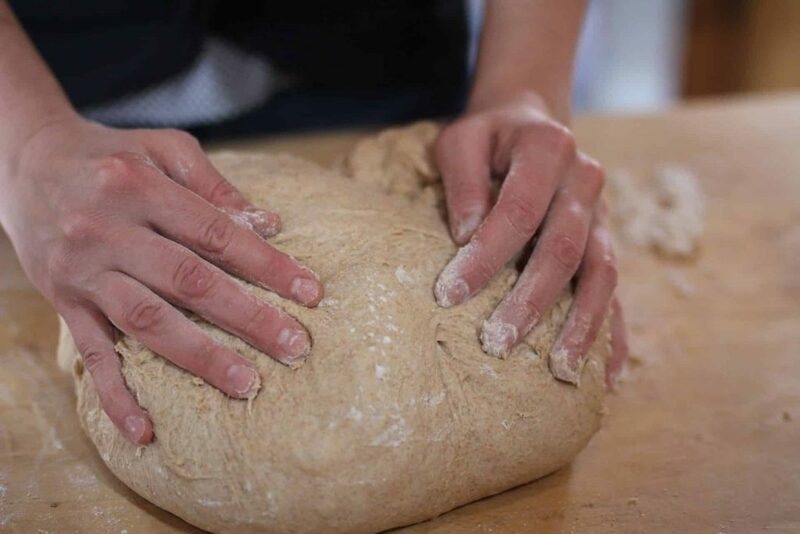 A little flour and some strong hands and you can have wonderful home-made bread and pastries that you will be proud of. Eventually! Set aside a few days a month and make really large batches of soup, stew, chili, bread, pasta sauce and other things your family likes to eat. Freeze portions for quick instant meals when you are in a hurry. This will help you limit those last minute phone calls for take-out and when buying the ingredients in bulk you’ll save money there as well. 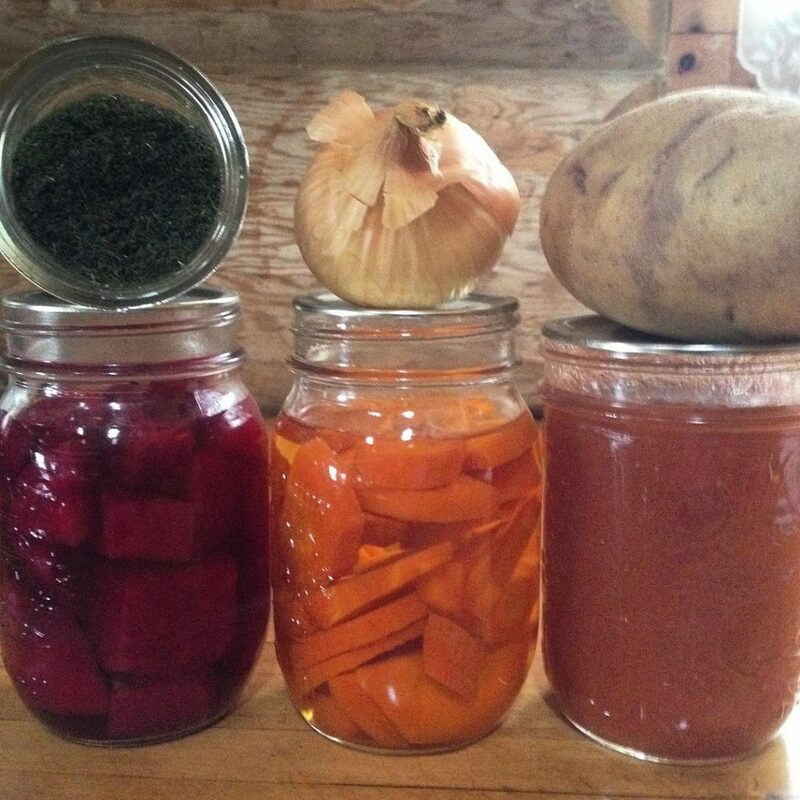 Buy food when it is in season and cheap and then preserve it. 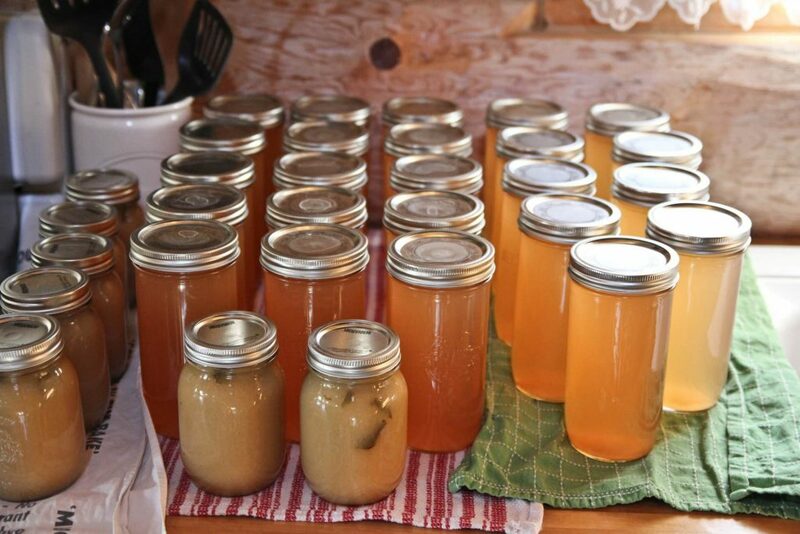 Preserving methods include: canning, freezing, dehydrating, fermenting. There are some equipment requirements for things like canning and you need to understand the rules but this is very easy to learn. There are many community groups that provide support and free resources. Check goodwill, estate auctions and even your relatives basements for equipment. You will be surprised at how easily you will find good usable used equipment. Fishing, hunting, and foraging for wild edibles is a practice that a lot of people forget about. A freezer full or moose, deer or rabbit meat can sustain a family for a long time. There are many wild plants, flowers, and berries that are very healthy and even sell for a premium in health food circuits. By learning what local foods are edible you can access them for free. We have wild apple trees growing everywhere and many people just leave them to fall to the ground and rot. They are perfectly good apples and provide us with a lot of free food. 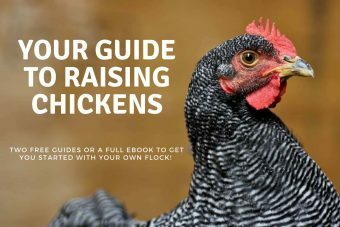 If you have space and if there aren’t any rules in your area preventing you, you can consider raising rabbits, quail and/or chicken or pigs for meat. Hutches and other supplies can be made using scrap/salvaged material. It used to be quite common to find a hutch of rabbits in a back garden. My great Uncle Keith kept them for many years. I was horrified as a kid to learn they were dinner but it taught me at a young age about where food comes from. Look online for free lessons for cooking, gardening or whatever it is you need to know. You can also ask around, someone you know will have skills they can share and people like to share their knowledge when asked. 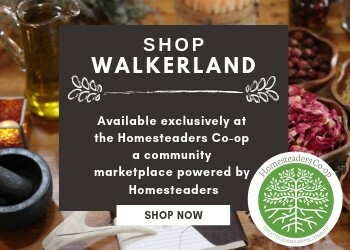 Join community groups and connect with the growing number of people wanting to learn these skills too! Perhaps you know someone who grows a lot of food and perhaps you have other skills or services you can offer to them. Look for opportunities to barter or trade. Maybe it’s as simple as you have eggs and they have potatoes. Or they have carpentry skills and you have land. A co-share of some pigs? Let’s talk! Barter and trade is a good way to avoid having to use money in transactions. Start growing some food. On your balcony, patio, in a garden, in a community garden, wherever you can. Growing food is something we should all know how to do on a basic level because our survival depends on food. A few tomato plants in a pot, or some sprouting seeds on your kitchen counter. 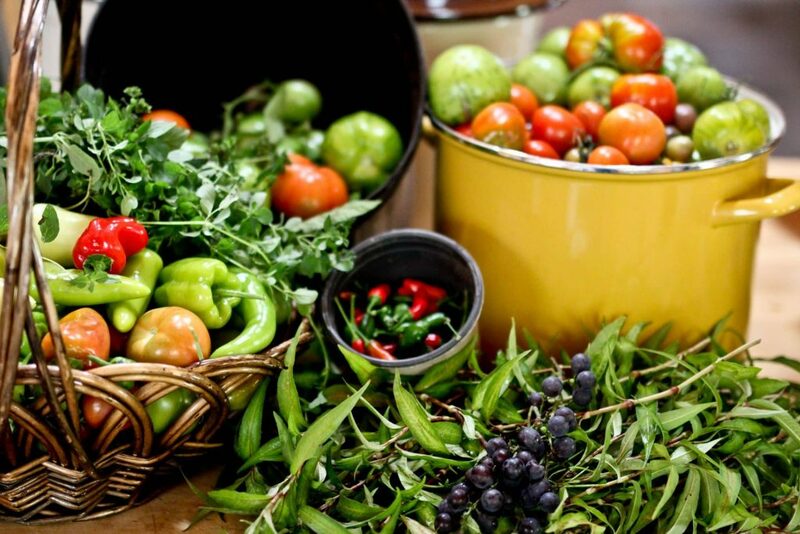 You don’t need much to grow simple food. Compost/dirt, seeds, water sunlight. When I started growing food I had no idea what I was doing and there was no one to show me but each year the garden got a little bigger and more things grew than didn’t. It takes time but it all starts with planting a tiny seed. Just one seed. 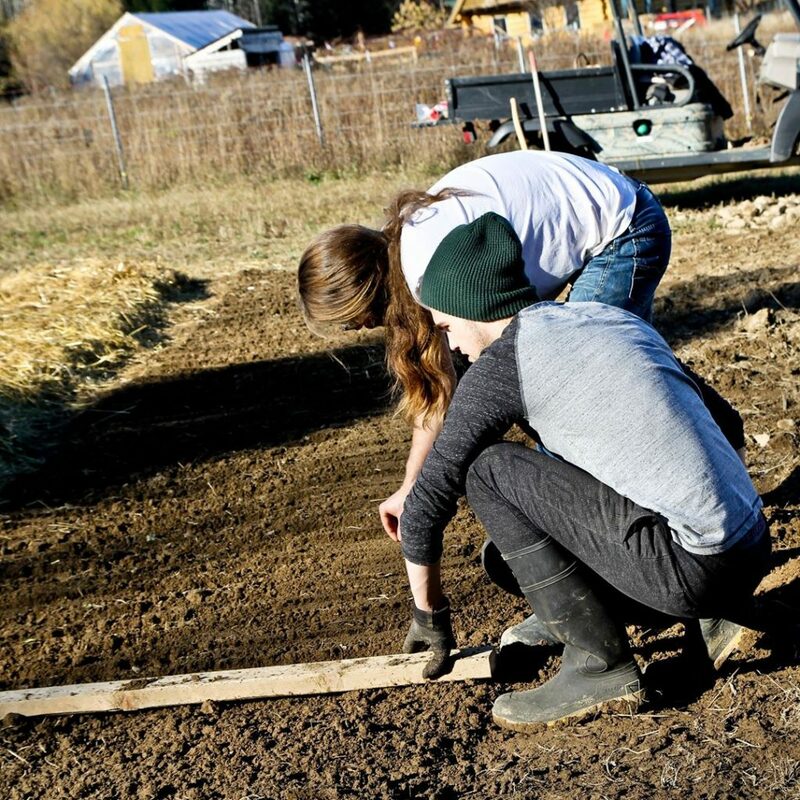 Consider working with others to build a small community garden. Maybe a community egg co-op. By sharing skills and resources you can achieve so much more than what can be done individually. Perhaps someone you know has a garden plot that is overrun with weeds. Maybe an elderly gardener who will trade their knowledge for your muscle and some of the garden bounty. Perhaps someone else has access to free manure, another is strong and can do heavy work, and so on. Everyone has something valuable to contribute if you look for it. The community used to be so valuable in keeping a neighborhood strong. A lot of us are becoming worried because things seem to be getting worse, not better. These are troubling times. Food security is such an important issue, but it is not being treated as such. Band-aids are being used rather than helping people to help themselves. We are still being told to spend, spend, spend. It’s all so CRAZY! Outsmart the system by trusting in yourself and investing time into learning these precious and timeless skills. Once you learn them, share them. We should all know how to eat healthy on a budget. 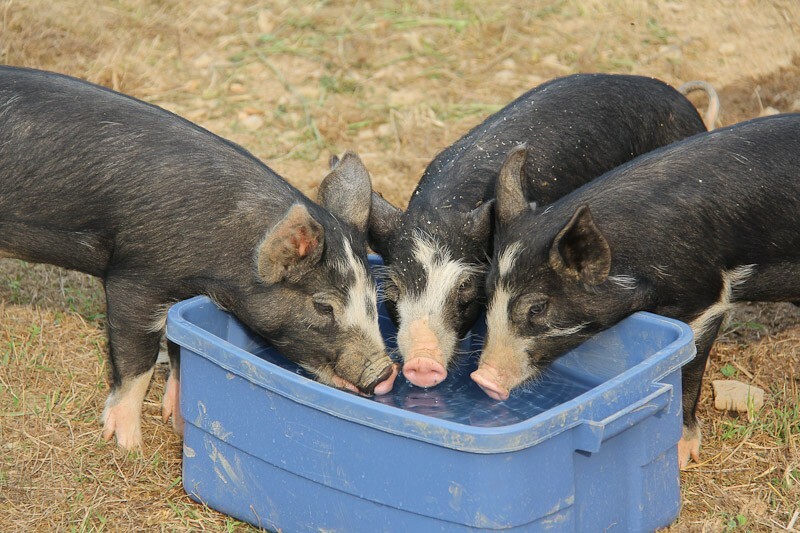 These are the true solution to having a well-fed food secure family. If you want to read more about this we’ve got even more tips and ideas on how to save money and stock up on food. This is great, Charlotte! I love it! Thank you . I am so glad you enjoyed it! It actually was a good article. I liked the 2nd half about gardening, canning, etc. Thanks Liz! 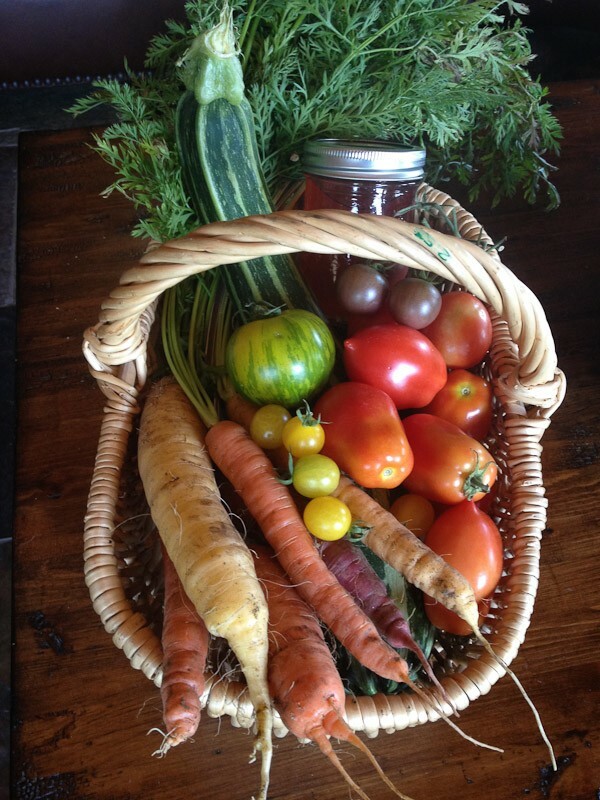 We rely pretty heavily on our garden (and canning) for our food. I do plan to write a lot more about that as well. Wow! Thank you for showing us a better and healthier way to live! I’m so happy to find your site!! This is such a good read. It’s so true that we’ve list the ability to sustain ourselves. Just think…what would we do if the big box stores, Walmart, target, Kmart, disappeared. That would terrify most ppl. Lol. 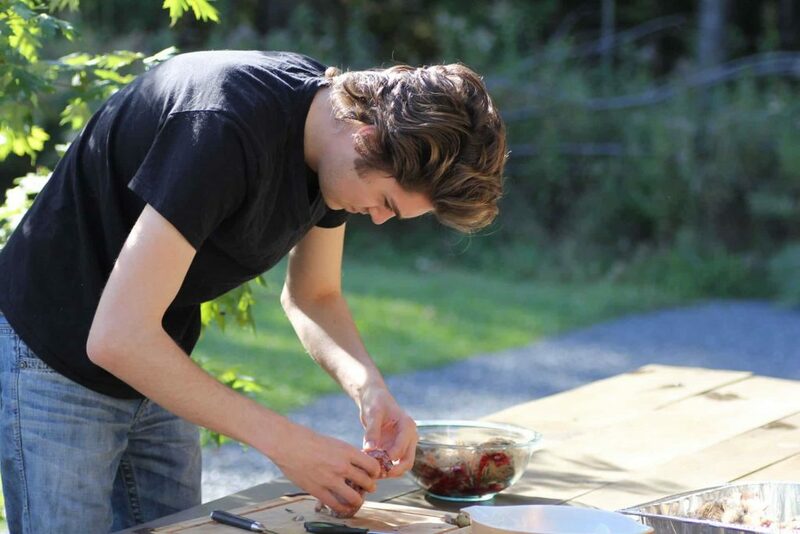 I do all my cooking from satchel and try to grow a lot of what my family will eat. I just love it. This article writing true for me. Thanks for the read Kathy MacsSorley, Gingersnap Farm. I love it Charlotte! You are so right and if we all start small and continue to add and learn as we go along we’d be so much better off. I’ve shared your post on my page. Thanks! Thanks so much for the feedback and for sharing our post! In the 1970’s economic downturn, my mother started canning and freezing the vegetables that my father grew in the garden (he had started gardening as a fun hobby, but by the time we moved out of the house we had a major garden plot that took over most of our back yard, plus an asparagus bed and some side plots). With the food that my father could bring home from the test labs of a can coating development company, it helped us get through on a frayed shoestring. That is truly impressive Cynthia. It really is valuable to have the ability to be food secure in difficult times and not completely reliant on others. Sorry for the late rely, I didn’t get notice of these comments :(. Thanks for the wonderful article. I grew up.with my mom doing everything you described. Of course it wasn’t cool to me to do that as a kid. Now, I am a full fledged from scratch maker and believe in good wholesome food from my kitchen. Nothing is more satisfying than spending a day in the kitchen creating! We have become so far removed from our food and where it comes from let alone how to prepare it. Wow! Exactly my approach too. Love it! I love reading all your information. You guys really blow me away. Have a wonderful day. You have good suggestions, especially those which emphasize networking and community building. 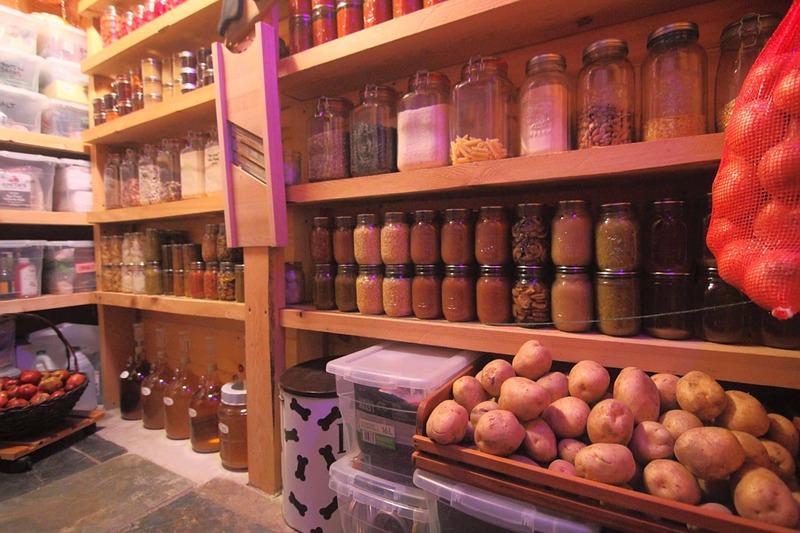 I found myself deeply envious of the lovely shelves for all those jars of food. I think anyone living in an earthquake zone should have a raised strip along the edge of each shelf, or they could put rubberized mats on the shelf. It wouldn’t take much of a tremor to shake all rhose jars off. I really appreciate you sharing this! We are on a tight budget the next couple years and this is very encouraging! Awesome article. My wife and I not only reduced our food bill for 3 down to $250 using most of these methods! The only thing we don’t do is raise our own animals. We have our own garden and love it! We always experiment with new things and are looking to eat whole, non processed foods on a budget. Great points! That is really impressive Jeff!